Despite being mortally terrified of red lips and all that it entails, I keep buying them. It's an illness. The buying, not the being afraid. But I live in hope that someday the buying will help cure being afraid, so that means I've to keep handing over my cash, right? Anyway, I picked up this stunner on a recent trip to Boots when I was "just having a look" and it was well and truly love at first swatch. 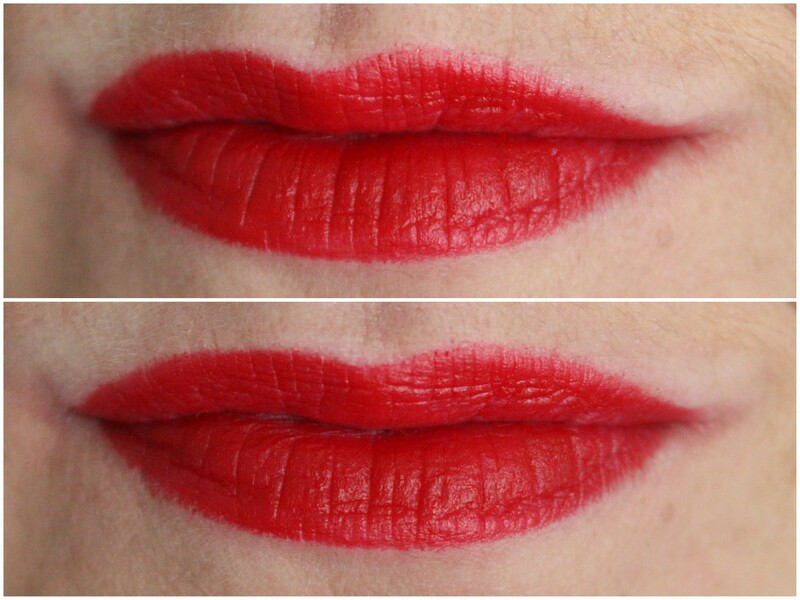 Maybelline Creamy Matte Lipstick in the shade Siren in Scarlet is as close to red lip perfection as you can get. Siren in Scarlet is gorgeous. The end. It's creamy, intensely pigmented, applies like a dream with no dragging on the lips and has a velvet finish, rather than one that dries and sets. This is good news for anyone with dry lips (moi) as crusty red lips is not a makeup trend no matter how much we hope it will be! I do declare that this is one of the most comfortable matte formulas I've tried to date and is genuinely one I'd consider wearing outside the house. When it's dark. Until I get brave! Or over the next few days I'll keep wearing it in the evenings in the hopes of wearing it to an event! I can't talk about longevity yet as I've not worn it for more than a couple of hours, but I'll update this post when I do. If you're on the hunt for a gorgeous red, a hollywood red, a red that doesn't dry out your lips after two minutes and a red that's under €10 (€9.99 precisely) check out Siren in Scarlet from Maybelline. And we can be red lip twins from the comfort of our own homes until we get the cahones to wear it outside! Have you tried any of the Creamy Matte Lipsticks from Maybelline yet?